Part Used : Rhizomes, Oil From Rhizome. Habitat : The herb grows in the eastern himalayas. Uses : This is used in Ayurveda for the treatment of hysteria and other neurological disorders. It is used for pain relief and a smooth menstrual flow. It is also used in perfumery such as oriental bases, heavy floral, fougeres, woody bases, animal ambre types etc and in flavors as a modifier for calamus, valerian, hop, ginger, cardamom. Jatamansi is used for treating insomnia, mental instability and also as a memory enhancer. 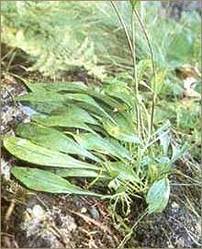 As an herbal CNS (Central Nervous System) drug, it is used for epilepsy, hysteria and convulsions. Due to its anti-arrhythmic activity the oil is said to promote hair growth and helps in maintaining its color as well. It is also believed to be useful for leprosy. It is used as a stimulant, antiseptic, insect repellent and for the treatment of stomachache, constipation and cholera. The rhizome is used as an aromatic adjunct in the preparation of medicinal oil. Mixed with sesame oil, it is rubbed on the head as a nerve sedative. This herb is a sedative and diuretic used in the management of spasmodic hysteria, heart palpitations, menopause, hystero-epilepsy, convulsive ailments, flatulence, stress, high blood pressure and nervous headache. The paste prepared in cold water is beneficial to reduce the burning sensation. It has rejuvenating qualities especially for the mature skin, and can help with allergies, skin inflammations and rashes.